Top movers of the day are Theta Token and Ark which has soared by 41.09% in the afternoon. We were observing market consolidation. In the last 24 hours 2100NEWS Digital Assets Total Index (NWST1100) which measures the performance of top 1100 crypto assets by market capitalization has increased by 0.38%, Bitcoin by 0.13% and Ether even by 1.78%. 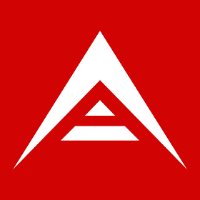 ARK which is a fork of Lisk is a project that offers a suite of tools to create an ecosystem of interoperable blockchains. Using the Delegated Proof-of-Stake (DPoS) consensus algorithm, ARK’s network is secured by delegates, who are appointed by ARK token holders through voting. ARK is also able to connect to external blockchains through the use of ‘SmartBridges’. Quant Network or Overledger is the blockchain Operating System (OS) for the future. It empowers applications to function across multiple blockchains. Overledger securely removes the barriers that prohibit communication across multiple blockchains, providing endless possibilities for your data and applications. Overledger is the blockchain operating system that provides the ability to distribute value and applications across current and future blockchains without being limited to a single technology or method. Top movers of the day at 11:15 are Theta Token and Kyber Network which has surged by 18.44% since midnight. We were observing market pullback and consolidation. Today 2100NEWS Digital Assets Total Index (NWST1100) which measures the performance of top 1100 crypto assets by market capitalization has decreased by 0.78%. In the last 24 hours, Bitcoin has dropped by 2.53% and Ether by 1.23%. THETA is an open-source protocol that powers a decentralized streaming network. It will allow for decentralized apps (DApps) to be built on top of the platform to enable use cases that span esports, entertainment, and peer-to-peer streaming. SLIVER.tv’s DApp was the first application built on the Theta network leveraging its existing user base of millions of esports viewers. In Nov 2018, Tencent Games announced a collaboration with SLIVER.tv to bring Theta rewards to Ring of Elysium players. The founding team has a combined 30+ years of experience in the video streaming space with advisors including Steve Chen, Co-Founder of YouTube, and Justin Kan, Co-Founder of Twitch. 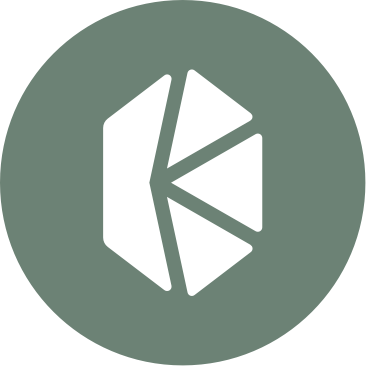 Kyber Network’s on-chain liquidity protocol allows decentralized token swaps to be integrated into any application, enabling value exchange to be performed seamlessly between all parties in the ecosystem. Tapping on the protocol, developers can build payment flows and financial apps, including instant token swap services, erc20 payments, and innovative financial dapps – helping to build a world where any token is usable anywhere. Beam is a cryptocurrency that demonstrates an emphasis on privacy and anonymity with Mimblewimble implementation. Without address information stored on the blockchain and keeping transactions private by default, Beam is meant to give control over privacy to users and scalability in its compact design. Having no premine or ICO, Beam is backed by a Treasury and designated a non-profit foundation to govern the protocol. Bitcoiin is a cryptocurrency, based on the same Ethash algorithm used by Ethereum, with a proof of work implementation very similar to Equihash, as used by Bitcoin Gold. Bitcoiin B2G begins at a genesis state (s=0), and incrementally executes transactions to transition a ledger into a final state (s=n). The state represents the information about the accounts holding the coins.